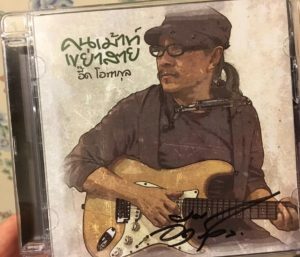 SUPPORT THE ARTIST AND BUY THE MUSIC at eThai CD.com,” where you can shop in English. 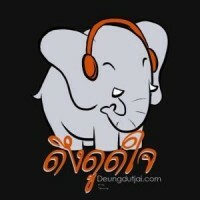 NOTE: Other than Aed Carabao’s cover and the album “Mon Playng Carabao,” hyperlinks will take you to song translations or album reviews at Deungdutjai.com. The last time I reviewed a Sek Loso album, I’m Back, I compared his talent to that of Lady Gaga. Both are outrageous and outrageously talented. Years later, it’s true that the two albums taking turns in my CD player are Lady Gaga’s new album Joanne and 20ปี โลโซ เราและนาย (20 years of Loso: Me and You). 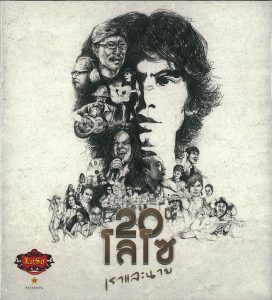 This tribute album for the 20th Anniversary of Sek’s band “Loso,” includes 4 new songs and celebrity covers of old Loso songs; all the songs, new and old, were all written by Seksan (Sek) Sukpimai. (His first name means “Magic”). That voice is gorgeous, his talent is spooky-good, and Sek continues to charm the fans into looking past his nonstop scandals. Since my very positive review of I’m Back, I’ve vowed several times to boycott Sek Loso. This year he pleaded guilty to attacking his ex-wife’s assistant and severely injuring her out on the street. He was mad because she had dissed him on the internet. He got a 2-year suspended sentence and was ordered to do community service. This incident makes his ex-wife’s accusations of domestic abuse quite believable. Without rationalizing it, I will just say I have obviously failed in my Sek Loso boycott. I can’t stop playing the album. 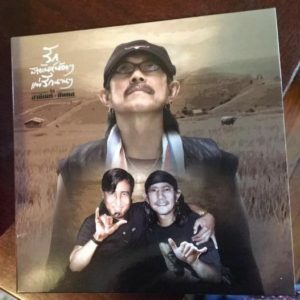 Sek has four new songs on the Loso tribute album, and the biggest tribute to Sek Loso is to admit that his newest songs are better than the celebrity covers of his own greatest hits. (“Oh good! Sek himself is singing this one,” I think to myself.) Among the new songs, we have “ซาตาน” (“Satan”), a “Thriller-esque” love song whose video has people dancing like zombies or the demon possessed. It’s fun and infectious. I love it. Equally striking is “อ้อนวอน” “I’m Pleading”, a typical Sek Loso ballad on the theme of hopeless love. However paired with its official video, showing an abusive relationship that ends in murder, the lyrics suddenly turn sinister. Is this music video Sek’s idea of community service to publicize the evils of domestic abuse? Or is he simply profiting off his own notoriety? I’m guessing the latter, and it’s disturbing. For the final two new songs, we have yet another good solid rock ballad “รักเธอจนวันตาย” “Love You Till My Dying Day,” and the bright and sunny, new-wave-style “อาจเป็นเพราะรักเธอ” (“Maybe It’s Because I Love You”). Of course one reason, I must review this album is that there are covers by three Carabao band members. It’s no surprise that Add Carabao’s contribution is a standout. He sings “ใจสั่งมา” (“My Heart Commands It”), a heartbroken love song in which a young man apologizes/(makes excuses for?) his stalker-like attraction to some women. Add Carabao, who is neither young nor overly romantic, throws himself into this role heart and soul, quavering each final note in that odd way he can do. I love the way he fully commits to each different (often very different) scenario in the songs he sings. Nothing matters but the music. The YouTube of this performance has nearly two million hits, more than even the new Sek Loso songs just mentioned. 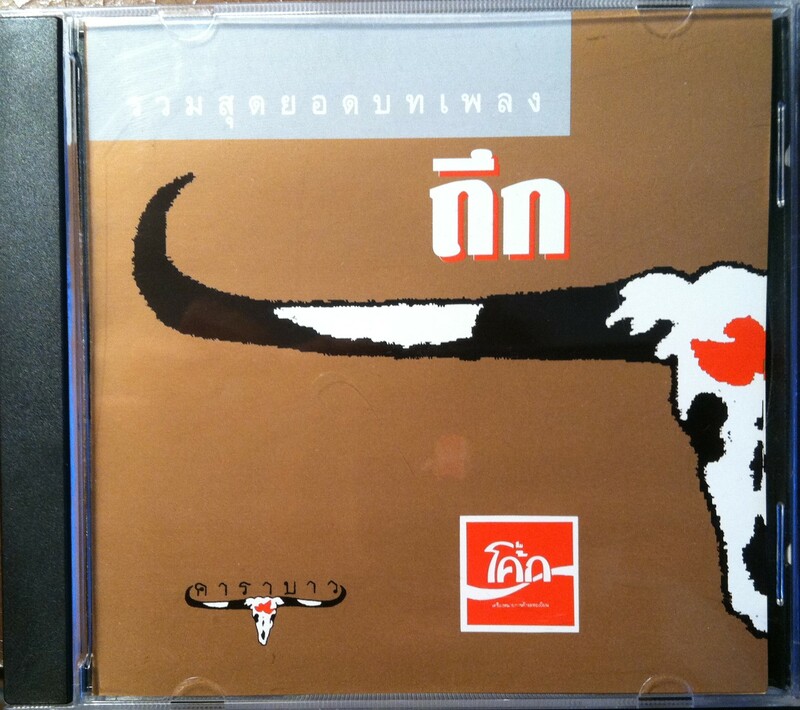 A song with slightly more hits than Add Carabao’s is a sweet and gentle cover of “คืนจันทร์” (“Night of the Moon”) by อ.ไข่ มาลีฮวนน่า Ahjan Kai Maleehuana. “ซมซาน” (“Desparate”) by หงา คาราวาน Nga Caravan, is one of my very favorites on the album. Nga Caravan’s voice is so unique, and he is precious with every note. He was also the standout performer for me on another tribute album: “Mon Playng Carabao” (The Spell of Carabao Songs), with a spellbinding cover of “Reng Koi” (“The Vulture Waits”). I like Blackhead’s slick cover of new wave style “ฉันหรือเธอ(ที่เปลี่ยนไป)” “Was it Me or You (Who’s Changed)?” ติ๊ก ชิโร่ Tik Shiro delivers a dramatic version of “เคยรักฉันบ้างไหม” (“Did You Ever Love Me?”) while (in the video) wearing a cape that blows in the wind, and he carryies a bull’s horn! Two women หลิว อาจารียา and ฝน ธนสุนทร Liew Ajareeya and Fon Thanasuntorn do a pretty Thai-sounding cover of the pop song “ฝนตกที่หน้าต่าง” (“Rain Falls at the Window”). This past year, an amazing thing happened: Sek Loso, would go live on facebook at random times throughout the day, each day, for about an hour. Often he would sit at home in front of his piano, a guitar by his side, and play and sing songs for the full hour, completely spontaneous, chatting with the thousands of fans who would instantly find him. 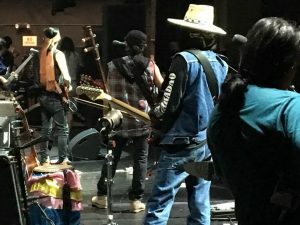 He would take requests, google for lyrics on his iPhone, and describe how each song fit into the history of rock and roll. On one of the first broadcasts I found, he sang Billy Joel’s “Just the Way You Are,” and was actually better than Billy Joel. He sang us a David Bowie song a week BEFORE David Bowie died. These songs were stunning and usually flawless. Once he went live IN THE MIDDLE of composing a song so we could see the process! He was exuberant, cocky, and musically brilliant. I “spoke” to him once. During a live session, a fan asked how he had learned English. As he answered the question, he grabbed a book of Shakespeare off the bookshelf behind him and read from it out loud to prove his ability. “You speak English beautifully” I typed. He read my comment out loud, adding “Indeed! Thank you, Ann Norman.” It was a thrill to communicate so directly with a star. It is somewhat similar to the social media connection between Lady Gaga and her “little monsters.” A friend then warned me that Sek Loso was doing all this as a stunt to distract his fans from his upcoming trial. And I guess I will leave it at that, rather than force some resolution . . . Five stars for this album.